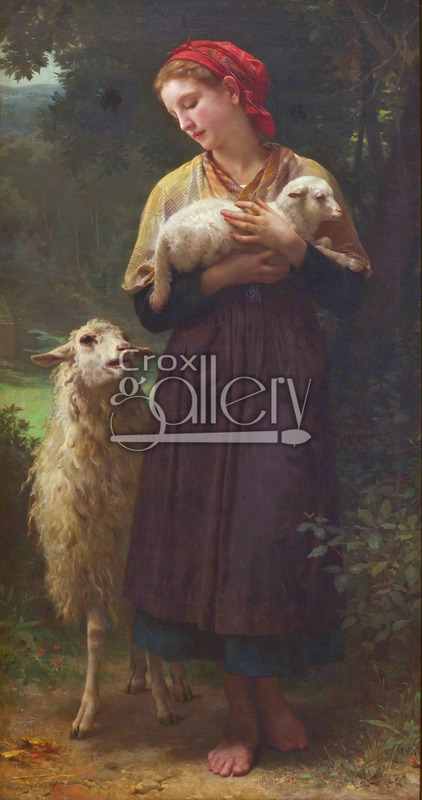 "The Newborn Lamb" by W. A. Bouguereau, costumbrist painting. 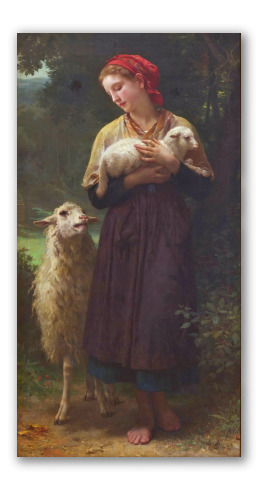 This costumbrist work entitled "The Newborn Lamb", also known as "L'Agneau Nouveau-Ne" (french), was painted by William-Adolphe Bouguereau in 1873. It depicts a rural scene in which a humbly-dressed, barefoot young shepherd girl holds the flock's newborn lamb in her arms. This work belongs to the Berkshire Museum in Pittsfield, Massachusetts, United States.